Recently, we had the privilege of meeting with a group of GCs in Las Vegas to discuss contract management and how it’s evolving in legal organizations. 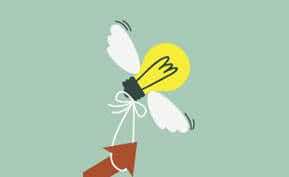 A concept that came through loud and clear in that meeting was that of the “old school” way of managing contracts versus the emerging new way (“new school?”) of managing contracts, namely, utilizing technology to automate tedious manual processes. Let’s take a closer look at what old school problems are becoming Legal’s top catalysts for implementing new technology. Who knew that innocuous-seeming stacks of paper could become such a problem? 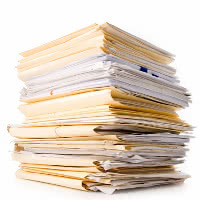 Whether it’s lack of time to find permanent spots for contracts, the need to be able to readily access them, or a filing system that isn’t capable of scaling with your company, this is a contract management conundrum that many legal departments are resigned to simply “deal with.” The result of stacks of paper at work is similar to the result of stacks of paper at home, though: missed deadlines, lost information, and the overwhelming feeling of encroaching clutter that needs to be organized…somehow and sometime. The contract repository in enterprise contract management systems is wildly appealing to legal teams because it solves the “stacks” problem completely. Contracts are suddenly off the desk and in the computer, searchable and readily accessible. Best-in-class contract management systems also include tools that facilitate easy, fast uploading for contracts as well, so that getting started doesn’t feel like a tedious process. Perhaps walking a document across the office doesn’t sound like a big deal, but consider organizations with thousands of employees at headquarters. As a contract administrator or legal team member makes his or her way across the company campus, they might stop to chat with a friend, remember a meeting they need to head back and dial in for, or leave a document with a proxy to deliver to the right person. If he or she does make it to the intended destination, the approver might not be at his desk, or the file folder might be left there, forgotten until a dreaded (and inevitable) “where’s my contract?” call comes along. For companies with hundreds of contracts that require signatures at any given time, it’s clear to see how this approvals process would quickly become a nightmare. While the workout is nice, moving physical contract copies throughout an enterprise slows approval cycles down significantly, obstructs visibility, and leads to confusion. CLM systems automate workflows that companies are able to dictate themselves, so that contracts move electronically through the organization, with the system alerting the right people that a contract needs their signature. Once contracts are signed (often electronically as well!) the system can automatically route the contract to the next person, keeping the process moving without a hitch. Even the most nuanced differences in contract data input can put companies in a world of hurt. For instance, if one party lists an expiration date as “13-8-4” and another “8/4/13,” and there is an erroneous number flip during date transcription between contracts, it can create issues in areas such as revenue recognition that can cost a company millions. These extremely small errors that cause a massive ripple effect have no place in the enterprise, and legal teams can’t risk it happening. Contract management systems can take counterparty paper or legacy paper from anytime in a company’s history and extract and map the data so that it ends up in the correct field, put together the right way. By relying on data extraction and mapping, legal teams reduce risk and save time pouring over document details. Of great importance to legal teams is ensuring that up-to-date legal language and all appropriate clauses make it into the right contracts, and relying on memory to do this is nearly impossible. A common solution? Legal teams may dig up the last “best” contract draft they constructed and include that language as they put together a new contract. The problem with this tactic, however, is that the last “best” contract draft is likely one that’s already been negotiated, meaning that you’re starting your new contracts with language that might be a distance away from the terms and conditions you would want to include initially. CLM systems prevent you from missing critical clauses or legal language that need to be included in certain contracts, and are capable of including them automatically. Drag-and-drop clause libraries help you put contracts together quickly, with the peace of mind that you are utilizing the current, approved language. How are you dealing with contracts in your organization? Are you getting fed up with snarls in your contract process? Leave some feedback and let us know what old school problems you’re ready to ditch.